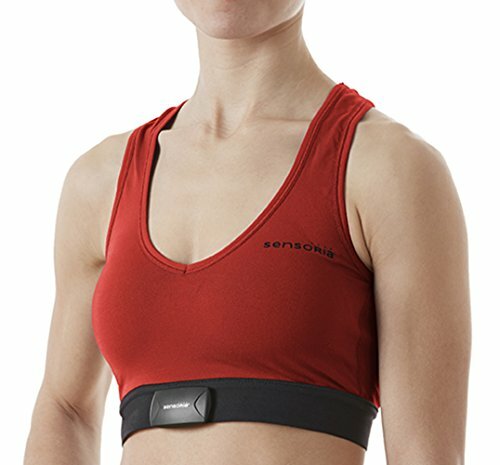 The Sensoria Fitness smart sports bra provides you with accurate and consistent heart rate monitoring without the hassle of wearing a strap. The sports bra offers a comfortable low/medium support and can be used with most Bluetooth smart heart rate monitor with standard snaps. Pair the hrm with the Sensoria Fitness mobile app to easily track your fitness activity. Made of 92% polyamide and 8% elastane, the Sensoria Fitness sports bra is light and breathable to minimize body temperature fluctuations. The sweat wicking technology alleviates discomfort by removing humidity and allowing your body to stay dry in all climates. If you have any questions about this product by Sensoria Fitness, contact us by completing and submitting the form below. If you are looking for a specif part number, please include it with your message.